Diane Wasser joined the Great Plains Interactive Distance Education Allilance team when the community development program was established in the fall of 2005. As programs in the agricultural area have been added to the Great Plains IDEA/AG IDEA consortium, Wasser has added those programs to her portfolio. 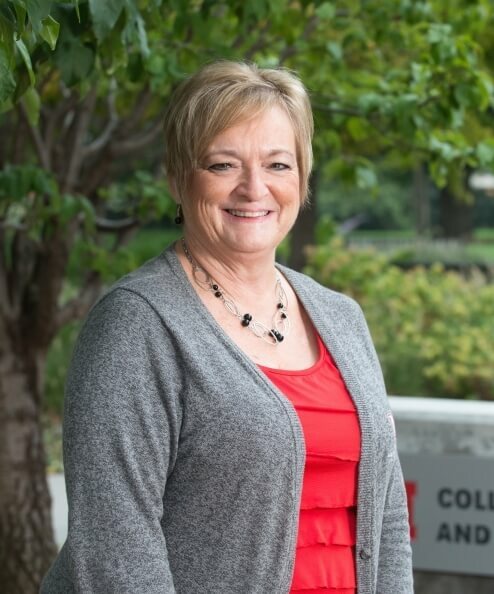 In 2012 she moved to the University of Nebraska College of Agricultural Sciences and Natural Resources Dean’s Office to help with the college online and distance education programs. She currently is the online student service specialist for the college. The best part of her job is the interaction with students, faculty and administrators. She is currently finishing her bachelor’s degree in ag leadership at UNL. She is a native Nebraskan, growing up on a farm in the Panhandle. She married her husband, Mike, and moved to the big city or at least close to it; she has three acres just outside the city limits of Lincoln, Neb. It is what she calls her little piece of the farm. She usually has a big garden and loves to share her produce with family and friends or is canning the produce for use the whole year. She has three children and three grandchildren. She loves spoiling her three grandkids and enjoys being with family.